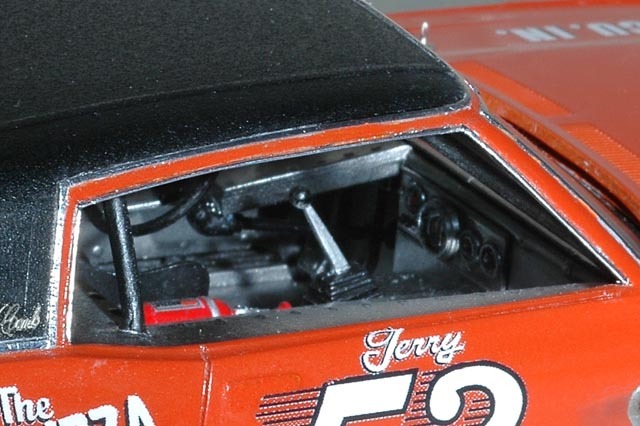 All the "sheet metal" for the interior is Tom's scratch-building handiwork. The seat belt hardware and various bolt heads are photoetched metal arts. Tom scratch-built the driver's side window net, windows, and rear window straps. The driver's seat is a cast resin item from Fred's Resin Workshop.